Valkyrie is a powerful and popular hero in the Marvel Universe. Asgardian in origin, she first appeared in Avengers #83 (1970). She has been a member of both the Avengers and the Defenders. This majestic statue was sculpted by Randy Bowen and stands over 14" tall. 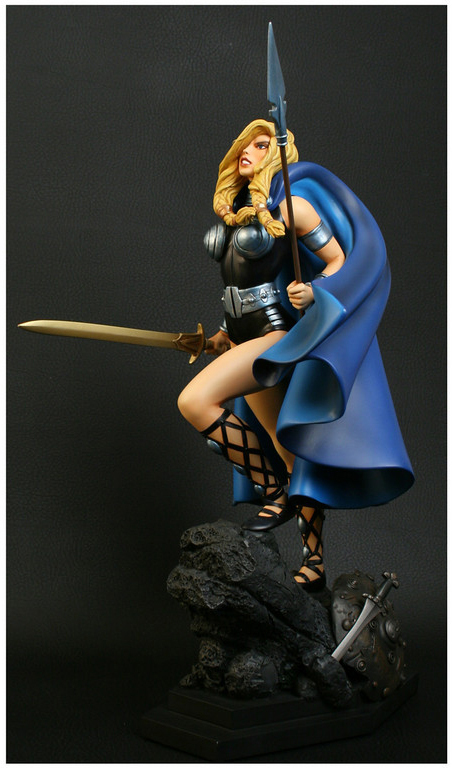 Add Valkyrie to your Marvel Superhero statue collection today!